This chakra symbolized the limitlessness of Pure Consciousness. It correlates with our spirituality, moving beyond the self and feeling the connection of being one with the entire universe. When this energy center is deficient, you may experience confusion, alienation and/or have a closed mind. You may also be cynical about the spiritual realm. When this energy center is in excess, you may feel superior to others and/or take your spirituality to the extreme. The biggest obstacle connected to this chakra is attachment. When this energy center is balanced, you will feel more connection to Spirit and become more open-minded. You will experience pure Oneness and enter a state where illusion and all conditioning falls away. Let Go - Notice what you are attached to. Certain people? Things? Ask this Question - Do I feel connected to all beings? Wear the Color Violet or White - Either in clothing or jewelry or put a crystal in your pocket like clear quartz, selenite or amethyst. Use Essential Oils (follow directions and guidelines for use) - Use oils like lavender, frankincense, myrrh or angelica. You can also find blends already made for the chakras here at Plant Therapy or chakra sprays here. Journal - Reflect on the second bullet point above by writing about what you're attached to, why and what you can do to work on letting go. Meditation - Meditate on the energy of your Crown Chakra in the sacred space you created and/or visualize a violet or white lotus flower or ball of energy extending out from the crown of your head. Volunteer - If you have a cause you are passionate about, maybe you can find out how you can help. Love animals? Maybe you can walk dogs at a local shelter or become a foster parent. Do you love making someone's day? Maybe join a letter-writing group. Yoga - Of course yoga! Try keeping your awareness inward & at the crown of the head while you practice a couple sun salutations with your eyes closed or with a soft gaze. Try having a yoga blanket or similar kind of blanket wrapped lightly around the crown of the head while lying down in savasana. Ahhh! 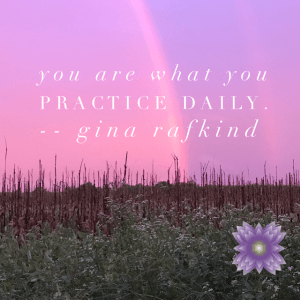 Create a Daily Spiritual Practice (Sadhana) - This practice can include anything that helps you connect within. It can be any of the above listed items as well as a walking meditation, candle-gazing meditation or a walk out in nature. Meditation is actually one of the best ways to not only connect with the Crown Chakra, but with all the other chakras as well. Chant or say the seed sound (silently or out loud) of this chakra which is Om. 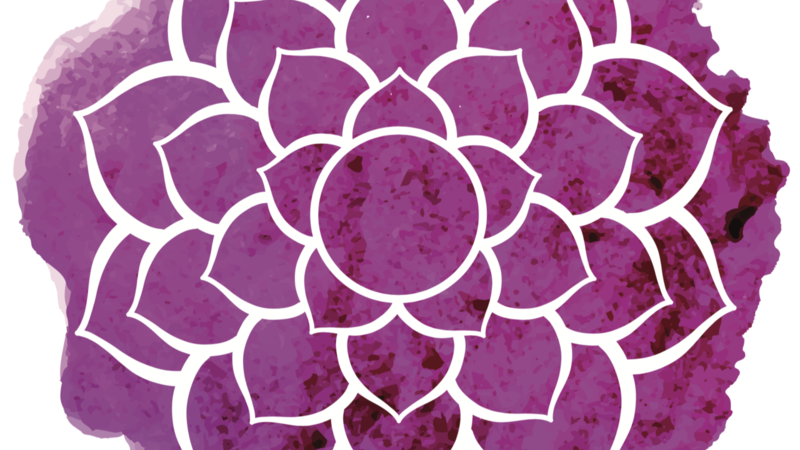 As you begin to become more aware of this energy center, Sahasrara chakra, you will begin to question your beliefs and interpretations, going deeper and deeper within, discovering the divine essence that is at your core. You are gaining clarity and discovering your divine purpose. Acknowledge that you have the strength to release attachments, allowing the flow of energy to move within you and upward through the chakras to the ultimate goal of freedom. Ps. My own sadhana, spiritual practice, has been a huge reason why I have released anxiety, feel more connected to life, and have been catapulted onto a journey that fuels my soul, allowing me to tap into my divine purpose. In the near future, I will be helping others to connect with and develop their own sadhana practice - stay tuned in the coming months!